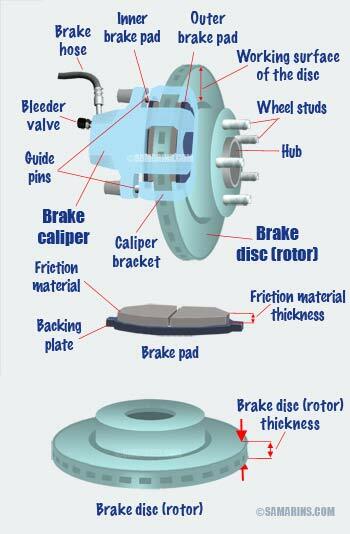 The brake caliper holds the brake pads in the disc brakes. A caliper has at least one piston. 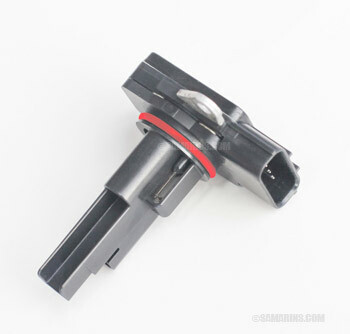 To work properly the caliper slider pins should move freely. If one of the pins seizes up, the brakes will not function properly. The brake light switch serves two major functions. First, it turns on the brake lights when a driver presses the brake pedal. Second, it sends the signal to the vehicle computer that brakes are applied. 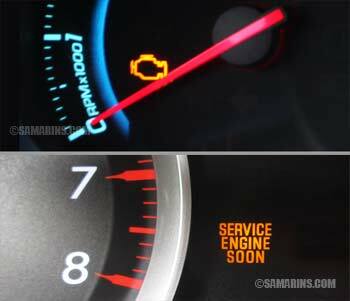 The Check Engine light is the source of frustration of many motorists. Dealing with this problem takes time and money, but there are several things you can check yourself. There are also several repair options to consider. 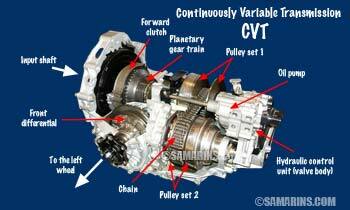 The concept of a continuously variable transmission or CVT is based on a chain that runs between two pulleys. The pulley size is varied by hydraulic pressure. A pulley set consists of two "cones." When the cones pushed towards each other, the pulley set size increases. If the pulley set 1 reduces in size and the pulley set 2 increases in size, the transmission "downshifts." The cooling system keeps the engine from overheating. 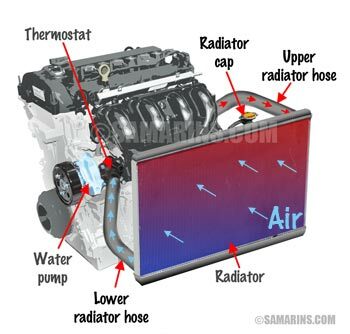 The system is filled with liquid coolant (antifreeze) and is connected into a loop with a radiator, see the diagram. The coolant flows through the engine where it absorbs the heat and into the top of the radiator. 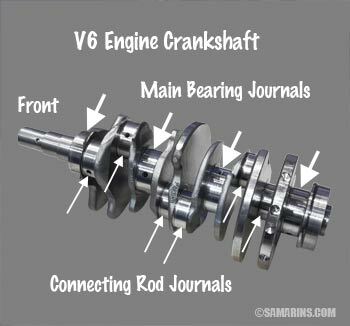 The crankshaft is the main rotating part of the engine. It turns the reciprocal movement of the pistons into a rotating motion. 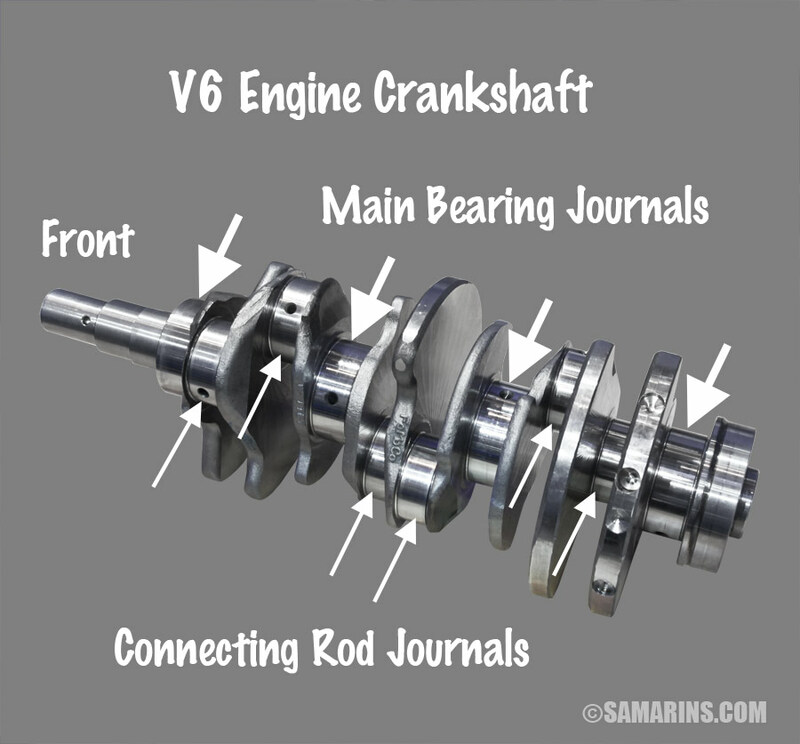 The crankshaft rotates in the cylinder block on the main bearing journals. Pistons are mounted on the top ends of the connecting rods. The connecting rods are connected to the connecting rod journals. 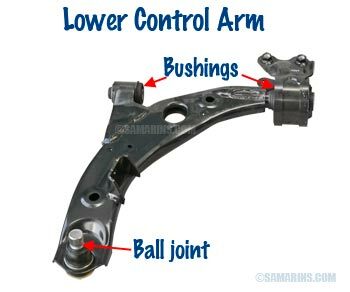 Constant Velocity (CV) joints transfer the torque to the drive wheels, while accommodating the up-and-down movement of the suspension and the steering action. 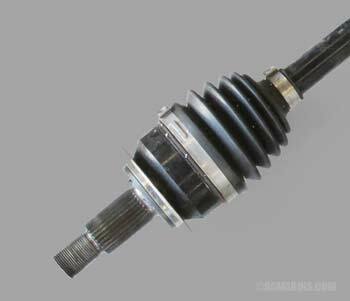 CV joints are packed with special grease and sealed by a rubber boot. DOHC means Double OverHead Cam, or sometimes it could be called "Twin Cam" or "Double Cam." Many modern cars have DOHC engines. Is it better than the OHV engine? How disc brakes work: when you press the brake pedal, the hydraulic pressure of the brake fluid pushes the piston out of the brake caliper. The piston pushes the inner pad away from the caliper, towards the brake disc (rotor). The outer part of the caliper also pushes on the outer pad towards the disc. The two brake pads squeeze the disc between them, forcing it to stop. You will no longer find this part in any modern car. 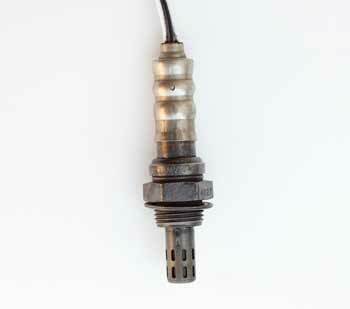 It was a part of the ignition system that was responsible for distributing a spark to all cylinders. The center cable comes from the ignition coil, the cables around lead to spark plugs. 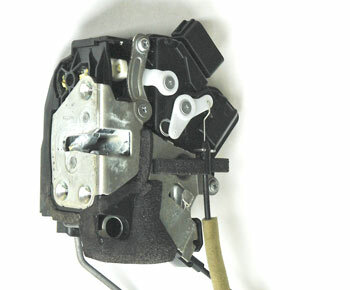 The door lock actuator is an electrically-powered device that operates the door latch mechanism. 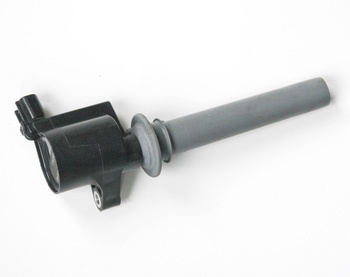 In many cars, the door lock actuator is built with the latch mechanism into one assembly. As a part of the vehicle emission control, the Exhaust Gas Recirculation or EGR system helps reducing the amount of the nitrogen oxides (NOx) in the exhaust gases. How does it work? The EGR system lowers the combustion temperature by diverting a small portion of the exhaust gases back into the intake manifold. 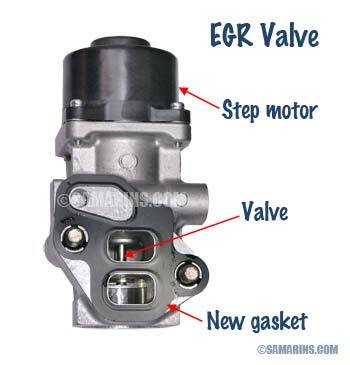 The EGR valve is the main component of the Exhaust Gas Recirculation (EGR) system. It controls the flow of exhaust gases in the EGR system. An engine mount hold the engine to the vehicle's body or frame. 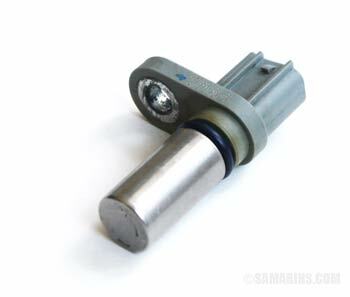 Some engine mounts are filled with liquid and work similar to a shock absorber. This design helps reduce the engine vibration felt inside the cabin. 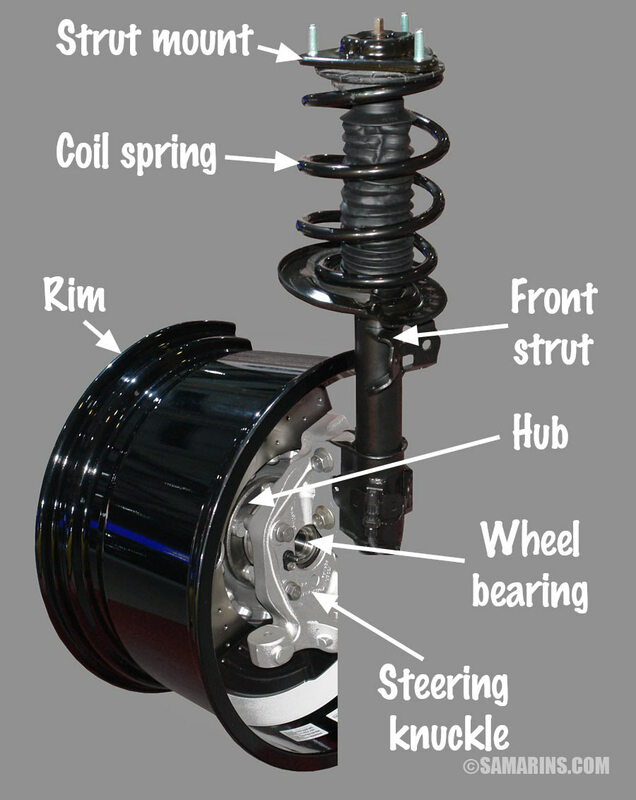 A MacPherson strut is one of the most common suspension designs in modern cars. A strut combines a shock absorber and a coil spring in one unit. 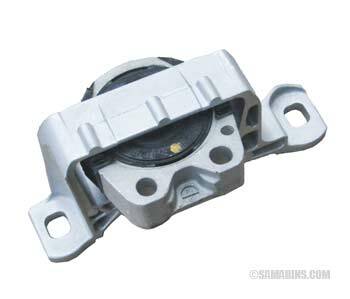 A strut mount is connected to the vehicle body. The lower end of the strut is bolted to the steering knuckle. The wheel is bolted to the hub, which is a part of the wheel bearing bolted to the steering knuckle. Fuses protect electric circuits in a car from overloading. Each circuit has its own fuse. Larger fuses with high Amp rating protect multiple or high-current circuits. There is also at least one main fuse. 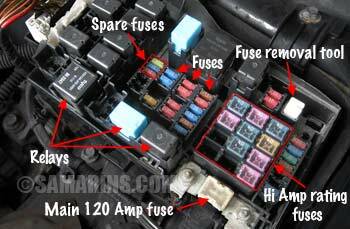 Read: how to check fuses in a car. An intake manifold distributes the intake air flow evenly between cylinders. 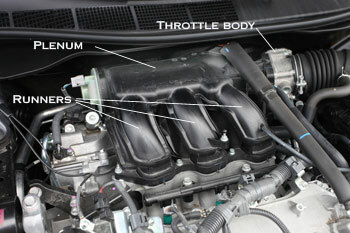 In many cars, an intake manifold also hosts the throttle valve (throttle body). An intake manifold consists of the plenum and the runners. 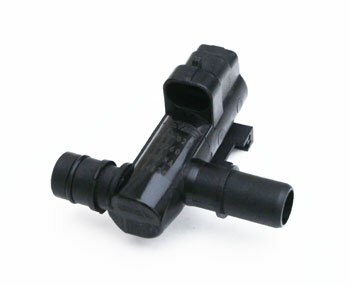 The mass air flow sensor measures the amount of air entering the engine. This measurement is used by the engine computer to calculate the amount of injected fuel. The mass airflow sensor is installed between the intake manifold and air filter. 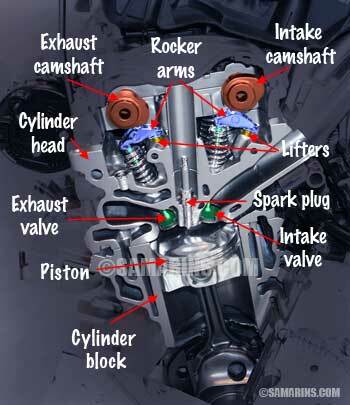 Single OverHead or SOHC has one camshaft installed in a cylinder head. 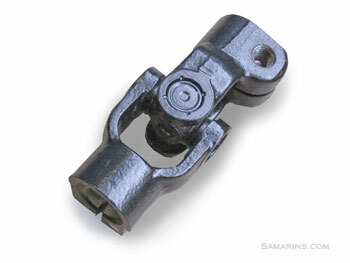 The valves are operated either by the rocker arms or directly through the lifters. 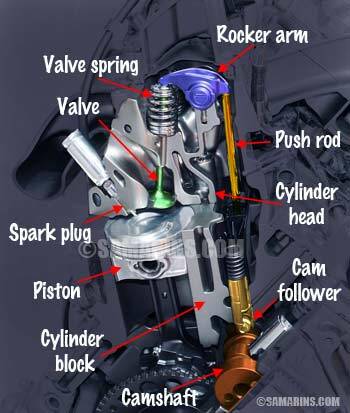 OverHead Valve or OHV engine is also called a "Pushrod" engine. In this design the camshaft is installed inside the engine block and valves are operated through lifters, pushrods and rocker arms. An oil pump creates the oil pressure in the engine lubrication system. It is installed inside the front engine cover or as a separate unit near the front end of the engine. 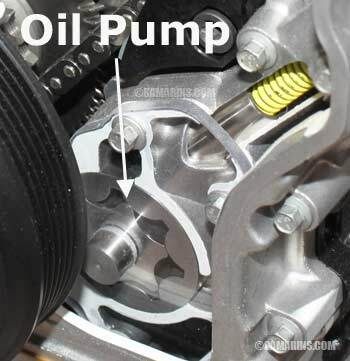 An oil pump doesn't need any maintenance and is only replaced if needed during major engine repairs. 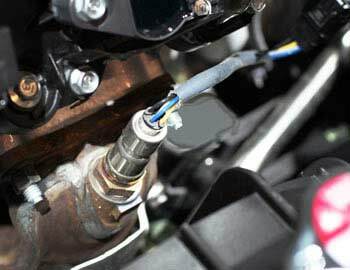 An oxygen sensor (O2 sensor) measures the amount of oxygen in the exhaust gases, sending the signal to the engine computer. A front oxygen sensor is installed in the exhaust before the catalytic converter. The Evaporative Control (EVAP) system traps fuel vapors from the fuel tank and stores them in the charcoal canister. 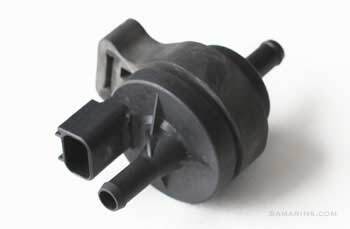 The purge valve controls the flow of the fuel vapors from the charcoal canister. The term "Pushrod" is used to describe the engine design where the camshaft is installed inside the cylinder block, and valves are operated through lifters, pushrods and rocker arms. 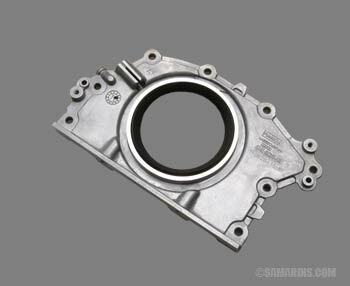 The rear main seal is the part that seals the engine crankshaft where it comes out of the cylinder block on the side of the transmission. Replacing a rear main seal is expensive, because the transmission will need to be removed. A bad rear main seal will cause an oil leak from the back of the engine. 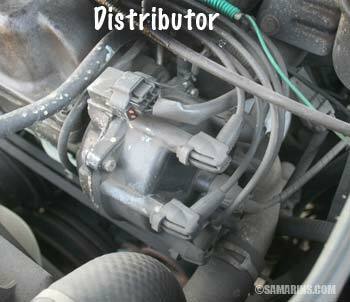 A serpentine belt runs the accessories such as an alternator, power steering pump, water pump and air conditioner compressor. 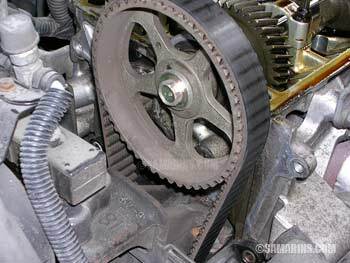 Over time, a serpentine belt wears and must be replaced. 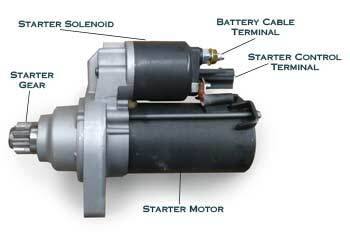 A starter is an electric motor that turns over or "cranks" the engine to start it. To turn over the engine the starter motor requires a very high electric current, which means the battery has to have sufficient power. 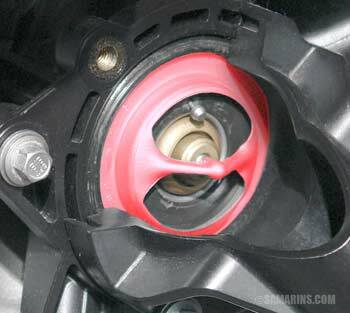 A steering u-joint has four needle bearings packed with grease and sealed. A failed steering u-joint could cause a knocking noise in the steering. The steering also could become stiffer at certain angles. The thermostat is an important part of the engine cooling system. It helps the warm the engine up faster and maintain the proper operating temperature. One of the symptoms of a bad thermostat is lack of heat when driving on a highway. A timing belt connect the engine crankshaft with the camshaft(s) to time the opening and closing of the valves with the movement of the pistons. 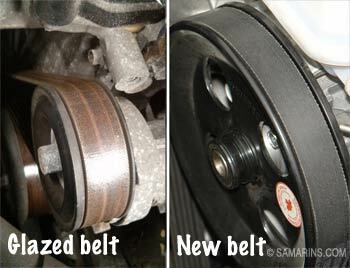 In some cars, an engine may get severely damaged if the timing belt brakes. 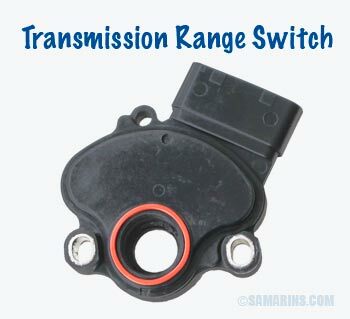 In cars with an automatic transmission, the transmission range switch allows the starter operation only when a transmission is in Park or Neutral. The job of the transmission range switch is to tell the vehicle computer (PCM) which gear the transmission is in. With tighter fuel economy regulations, more and more car manufacturers rely on turbocharged engines. With a turbocharger, the vehicle can have a smaller engine and use less gas when coasting, idling or in stop-and-go traffic. When needed, a turbocharger kicks in and provides extra power. What is a vacuum leak? It's a leak anywhere between the engine and a mass air flow sensor. 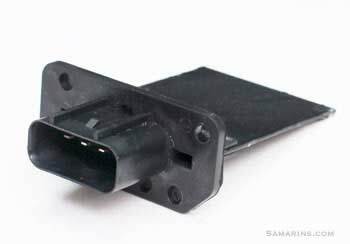 In the fuel injection system, the mass air flow sensor measures the air flow into the engine. 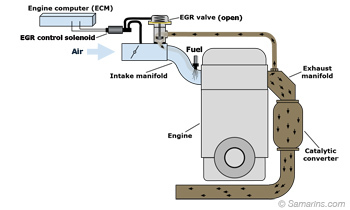 The engine computer (PCM) calculates how much fuel to inject based on the mass air flow sensor measurements. If there is a vacuum leak, it causes "unmetered" air to enter the system. Symptoms of a vacuum leak include the Check Engine light, rough idle, stalling and a hissing sound coming from the engine bay. Engine valves move inside the valve guides. The top end of the valve guide is capped by the valve seal. 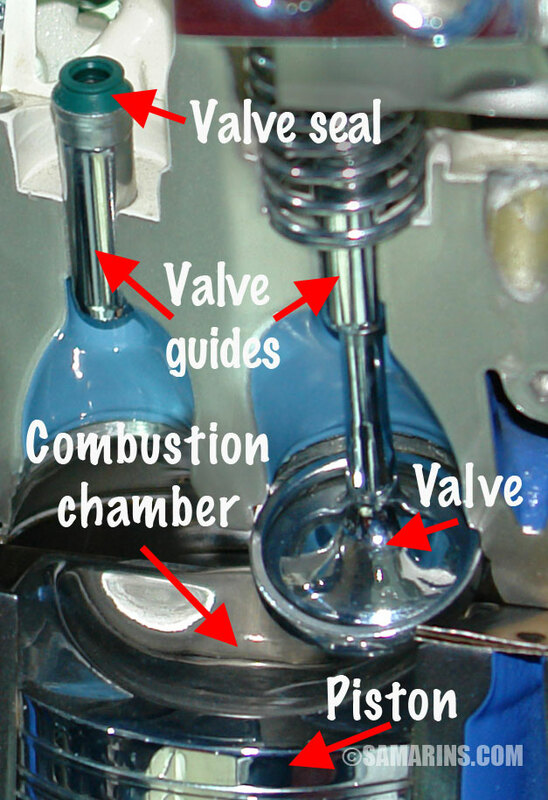 A valve seal seals the stem of the valve and prevent the engine oil leaking inside the combustion chamber. Bad valve seal can cause increased oil consumption and blue smoke from the exhaust. Valve guides might need to be replaced if worn out, when the cylinder head or the engine is rebuilt. Valve seal may need to be replaced for the same reasons or when they are suspected to cause increased oil consumption. A Vent valve is a vital part of the Evaporative Control (EVAP) system. The EVAP system is responsible for trapping fuel vapors from the fuel tank and burning them in the engine. 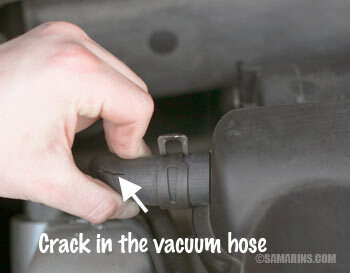 Problems with a vent valve will cause the Check Engine light to come on. 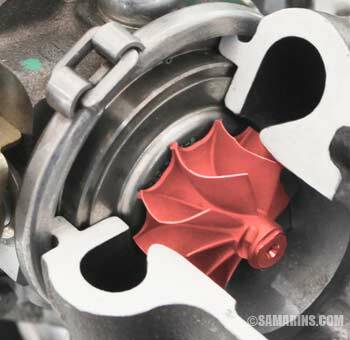 A water pump creates the flow in the engine cooling system; if it stops working, the engine will overheat. In some cars, a water pump is driven by a serpentine belt, in others by an electric motor. A water pump doesn't need any maintenance. It only needs to be replaced if there is a problem with it. 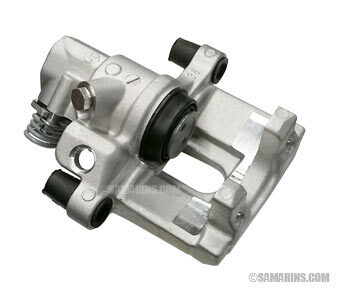 If a water pump is driven by a timing belt, it's often replaced as a precaution whenever the timing belt is replaced. 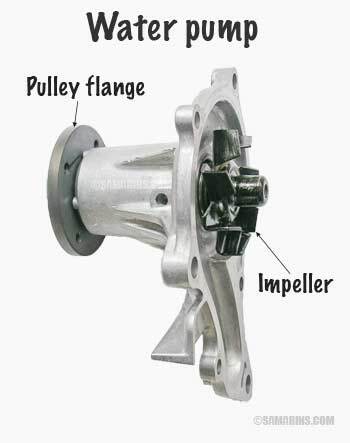 Symptoms of a bad water pump include noises coming from it, coolant leaks or overheating. 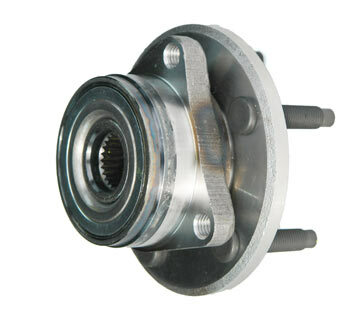 A double-row ball wheel bearing (in the photo) is the most common type used in today's cars. This type doesn't need any maintenance. Symptoms of a bad wheel bearing include a humming noise and excessive free play. The price for wheel bearing replacement ranges from $180 to $340 per wheel. If only one wheel bearing is bad there is no need to replace other wheel bearings. Window motors operate power windows in your car. A window motor is installed inside the door and works together with a window regulator to raise and lower the window. 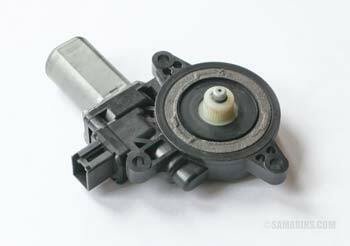 In some cars, a window motor can be replaced separately, in others it comes with the window regulator as a unit. 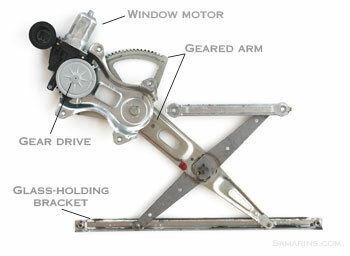 A window regulator works with a window motor to slide the window up and down inside the door. A bad window regulator can cause the window not to open or close fully. It's a maintenance-free unit. If a window regulator fails, the failed part or the whole unit must be replaced. The windshield washer system is fairly simple, there is a switch, the control module and the motor. The pump is attached to the motor. 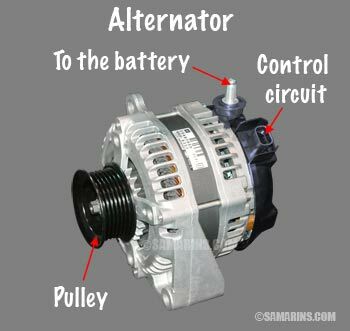 In some older cars the switch powers the motor directly. The windshield washer motor/pump is installed at the bottom of the windshield washer fluid bottle. 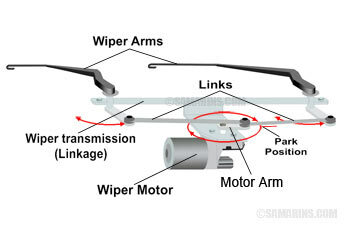 How the wiper system works: the wiper switch sends the signal to the control module. The control module operates the wiper relay. 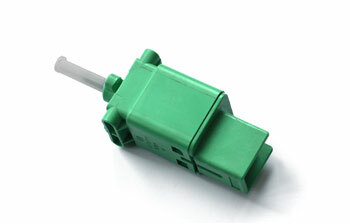 The wiper relay sends 12-volt power to the wiper motor. The motor rotates a little motor arm that through links moves the wiper arms. 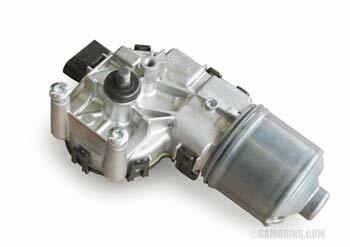 The wiper motor is a DC (direct current) 12V motor that includes set of gears and a park switch. 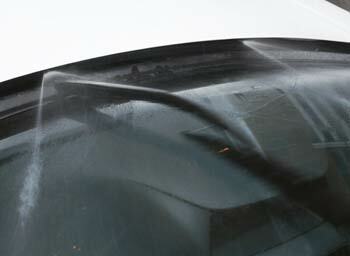 The park switch allows the motor to stop when wipers are positioned at the bottom of the windshield. This position is called "park position".